Faulty foundations can cause thousands of dollars in damage to homes in the Traverse City area. Homeowners in the area are overwhelmingly turning to basement waterproofing to combat these costly issues. As a family-owned company with over 100 years of service, StayDry Waterproofing is committed to your satisfaction. We understand the frustration and stress that come from water emergencies and we’re here to help you. 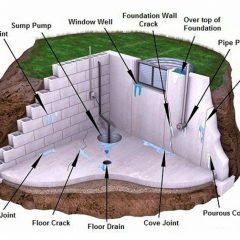 At StayDry we offer: interior and exterior basement waterproofing, crack injection repair, foundation and crawl space repair, mold control and many other services. Our commitment to quality and honesty will show in all we do. We are so sure you’ll love our work, we offer a 100% money back guarantee on almost every product we offer. Call our Traverse City office at 1-800-STAY-DRY for your obligation-free consultation! 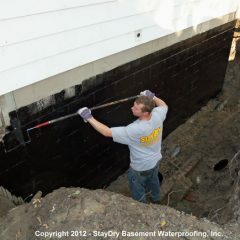 StayDry Waterproofing is proud to provide residential and commercial customers in Traverse City Michigan and all cities in the greater Traverse City area with basement waterproofing services! 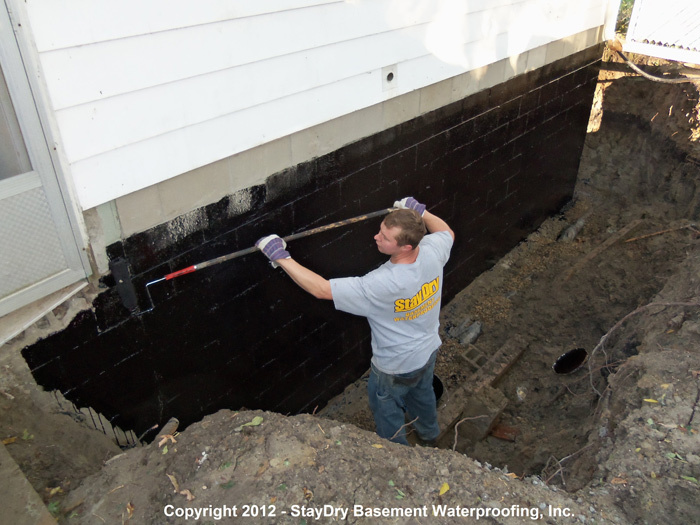 At StayDry Waterproofing, we offer free estimates for all Traverse City residents to solve their damp or wet basements, nasty crawl spaces, mold issues, and also cracked or bowed foundation walls. StayDry® has an excellent reputation in Traverse City and all throughout Northern Michigan. When considering a basement waterproofing contractor, ask to see our referral list of happy customers in the Traverse City area who have had our interior or exterior basement waterproofing, crack injections among other waterproofing solutions completed in their homes. You can hear their stories and learn about our process and their experience in working with us. When it comes to core values, honesty and integrity is extremely important to us, and we think that it defines our basement waterproofing services. Our commitment to reliability and quality of work shows from start to finish. When you call or email StayDry Waterproofing, to when a waterproofing specialists performs a free inspection and estimate of your basement, to the work crews who come in and get the job done done right the first time, honesty and integrity are seen throughout the entire process. Basement waterproofing is our bread and butter – it is what gave StayDry our name after all, and we do it better and more cost effectively than any other waterproofing contractor in Northern Michigan. Our prices are very competitive and fair when compared to competitors, and we rely heavily on the success of previous customers. After every free foundation and basement inspection and estimate, we leave our customers a list of referrals filled with happy customers in the Traverse City area. We always encourage you to call and speak with them to learn more about our process and their results. The greatest compliment we can receive is when our customers recommend our work. Michigan has a higher average of annual precipitation each year than almost every other state. The high water table near Lake Michigan puts many homes at risk for flooded basements. Fortunately, there are many precautions that enable homeowners to protect the value of their home. 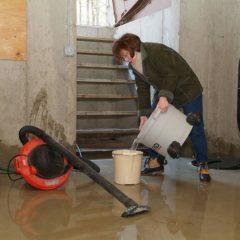 Preventing basement flooding is much cheaper than repairing the damage. 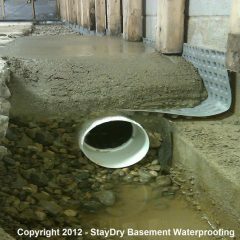 To save money on basement waterproofing, call StayDry at 800-800-7073 and an honest representative will give you an obligation free consultation. 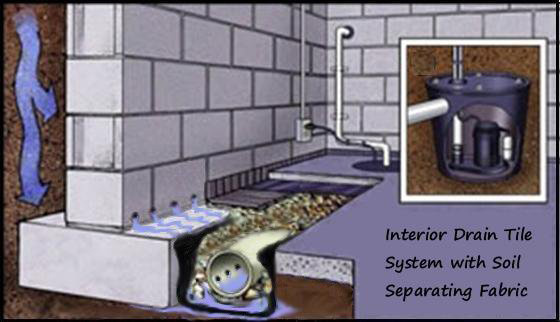 Identifying the source of basement leaking is necessary to fully repair the problem. Novice waterproofing companies will seal cracks and lay pipes without understanding the source of the problem. With over 100 years of experience waterproofing Michigan homes, StayDry fully understands how high water tables lead to flooding. 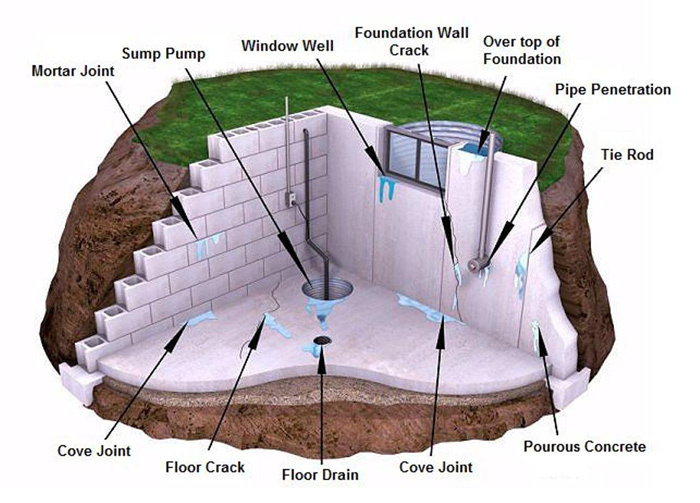 During our obligation-free consultation, we will check for drainage issues, faulty construction, or weak walls. Although sealing cracks is a highly effective way to keep water out, addressing the issue at the source is a more reliable way to prevent basement flooding. Groundwater in the soil around your basement can leak through and cause basement flooding. Unless the moisture in the soil is properly redirected, the hydrostatic pressure pressing against your home can weaken your basement walls. French drains channel groundwater into a sump basin away from your home. If water is getting into your basement, then consider scheduling a French drain installation. For nearly 150 years, French drain technology has been effectively channeling water away from homes. StayDry’s French drain system is backed by a lifetime guarantee. 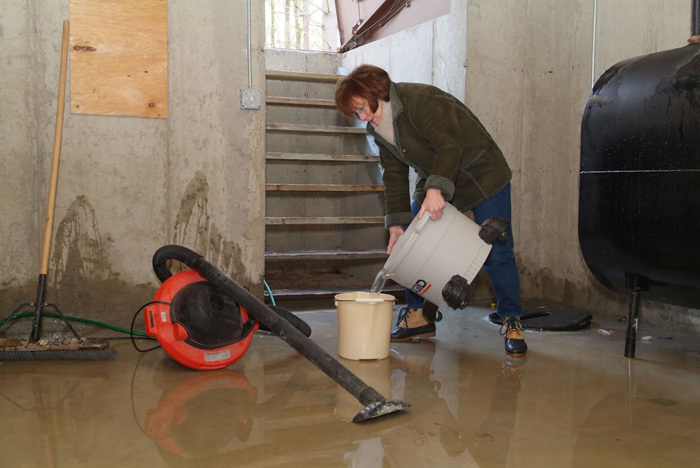 Sump pump malfunctions are a common cause of basement flooding. Sump pumps empty the basin that collects water from perimeter drains. During heavy rainfall or blizzards, the sump pump keeps the basin from overflowing. StayDry sump basins are made from industrial grade cast iron and stainless steel. As one of the most efficient sump pumps on the market, its 5 amp motor uses less energy than other brands. 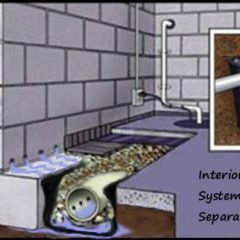 They will help you get the most out of your French drain installation and help prevent mold and mildew growth. The PumpSpy will give Traverse City residents additional protection from basement floods with its extra battery, additional float sensors, and backup pump. Homeowners who leave on vacation can rest assured that their draining system will handle Michigan’s strong summer storms. The PumpSpy sends email and text alerts and is fully backed by the StayDry warranty. Foundation shifting is normal. 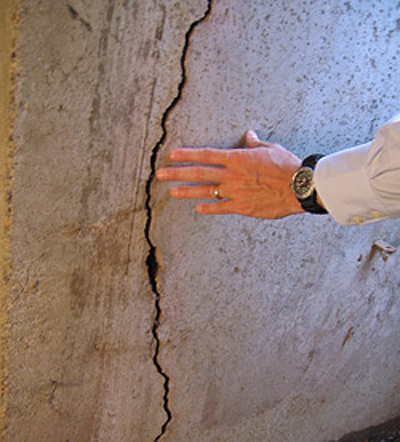 When time and soil movement cause a foundation to settle, walls are prone to cracking. Vertical cracks are common and easily repairable. Horizontal cracks, on the other hand, are indicators of severe structural damage. 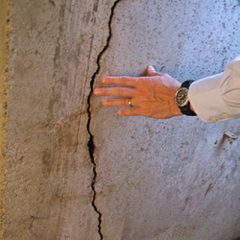 While vertical cracks are a result of foundation settling, horizontal cracks are generally caused by soil pressure. StayDry epoxy injection will strengthen the wall and help prevent further shifting, but further solutions may be necessary to keep water from entering your home. Call a StayDry representative for an obligation free consultation to find out exactly how to keep your home water-free. 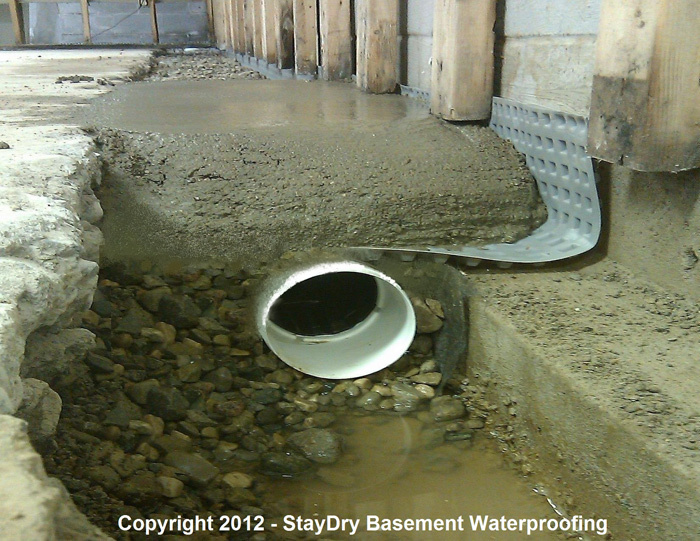 Make your wet basement or occasionally leaky basement a thing of the past by calling StayDry’s® Traverse City Basement Waterproofing division today. With over 125 years of combined experience in keeping Traverse City basements dry, we’ve seen it all. Reclaim your wet basement, and make it a clean, dry, and enjoyable area of your home again. Attached garage partly below grade water coming in need to repair. We have two areas in the basement that leak. One area leaks every time it rains the other only when we get a lot of rain. We have two areas in the basement that are leaking. I have a home in Lansing that is getting moisture into a spot in the basement. It is outside the main frame of the house under the front steps. It houses the water main for the home. it is about 6x6x7 feet, like a fruit cellar almost. I am wondering if it would be able to be sealed from the outside or if it would need to be done from the inside and an estimate on cost?